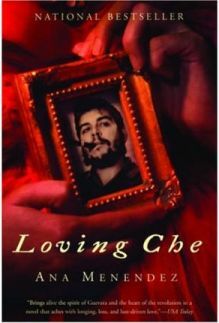 Having been brought up by her grandfather in Miami after being taken from Cuba as a young child, the un-named central character of “Loving Che” receives a box of letters and news clippings from an anonymous sender. She has already made one visit to Havana to try to trace the mother who was left behind but wasn’t able to find her. Now the shocking information contained in the letter, relating to the identity of her father, persuades her to head back to Cuba to try again. She has grown up with the one-sided view of Cuba perpetuated by the exiles of Florida but finds that the truth is quite different as her quest to find her mother introduces her to Havana’s thriving artistic community. Refusing to accept that the claims of the letters are unlikely, she resolves to find out for herself whether the infamous El Che really was her father. The short first and third sections of this novel are told by this young woman. The more substantial middle section is related through the writing of the woman’s mother, Theresa.